Closed to the outside world for centuries, Ladakh lies high in a remote region of the western Himalayas, close to the Chinese border. 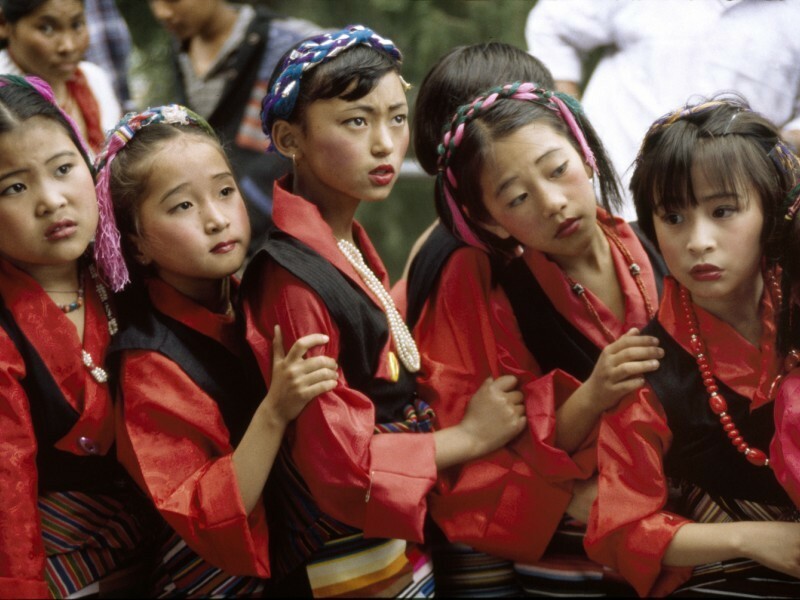 This unique part of India is a land of devout Tibetan Buddhists, whose striking monasteries preside over a rugged lunar landscape of high peaks, stony plateaux and deep valleys. 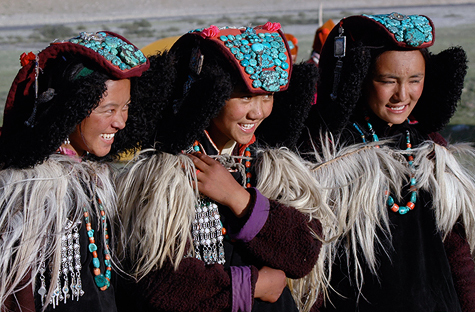 Our comprehensive four-wheel-drive itinerary travels the mountain roads, and the world’s highest pass, to reach some of Ladakh’s most isolated locations. Our tour begins with a spectacular flight over the Himalayas to the remote Ladakhi capital, Leh. 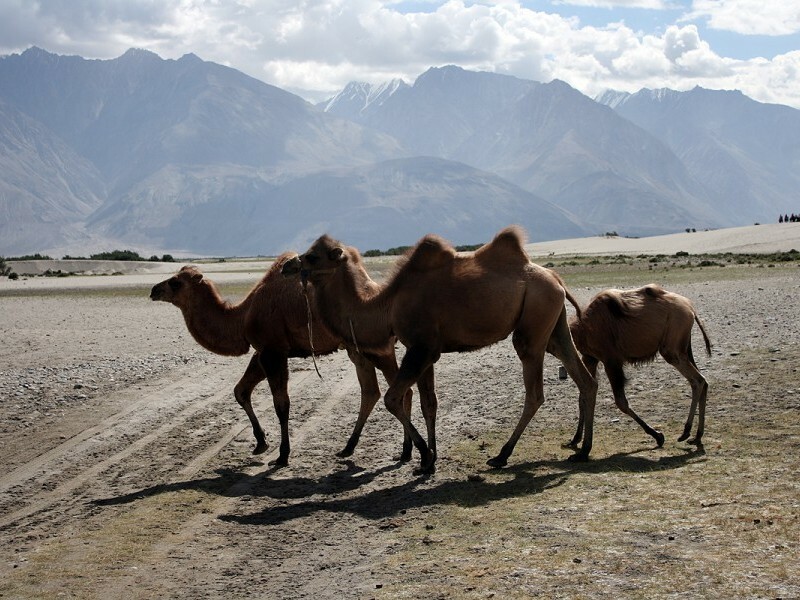 At 3500m above sea level, Leh was once a major trading post at the junction of the historic silk route, which ran from China and Central Asia to the plains of India. 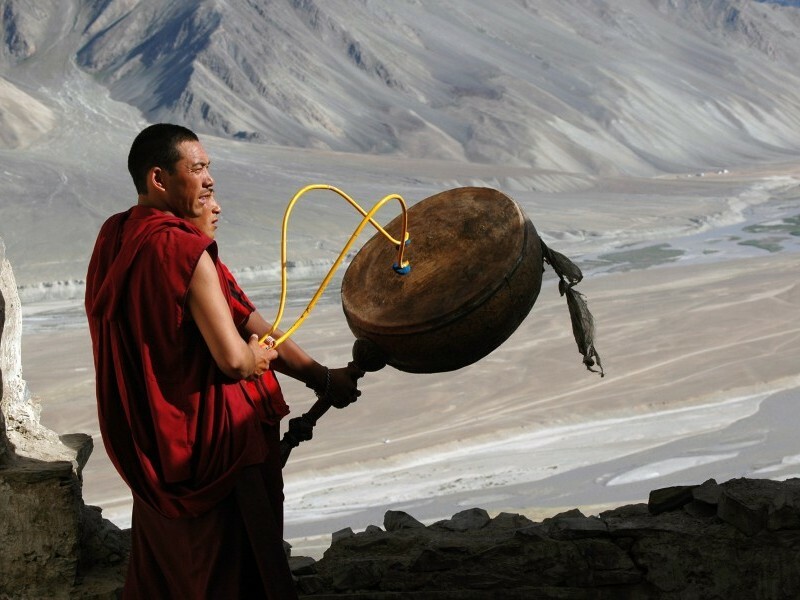 There is a timeless quality about life here – ancient Lama monasteries, built high on sheer rock cliffs, the barren, almost haunting landscape of this fascinating region and a way of life and culture well- preserved for hundreds of years. 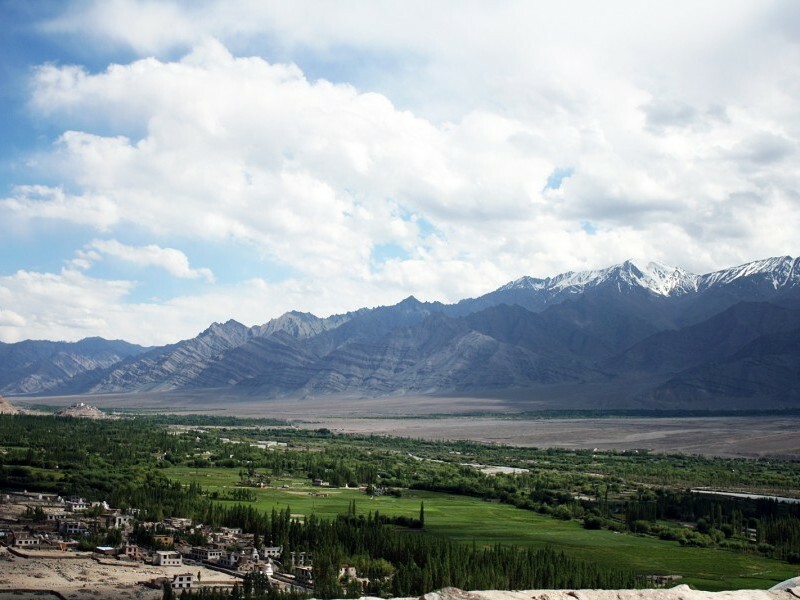 We’ll spend the first two days acclimatizing to the high altitude, with a gentle sightseeing tour of the sights around Leh, before heading out in the Jeeps to spectacular 11th-century Alchi monastery. 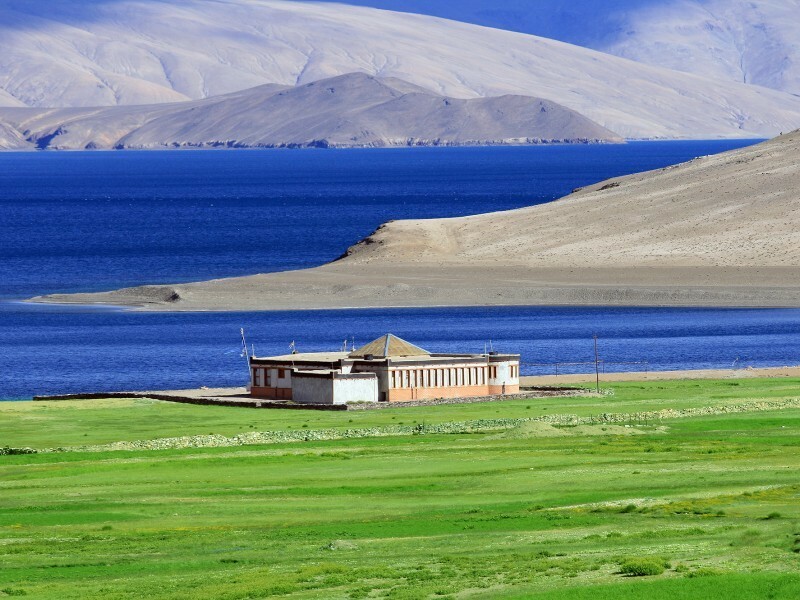 We’ll take an exhilarating hike out to Mangyu monastery through the amazing scenery of the Western Tibetan Plateau, before travelling to the ethereal beauty of Pangong Tso (‘Tso’ means Lake in Tibetan), a sapphire-coloured high altitude lake that serves as summer grazing area for nomadic yak herders. En-route back to Leh we’ll also stop by at Hemis monastery, a UNESCO World Heritage Site. 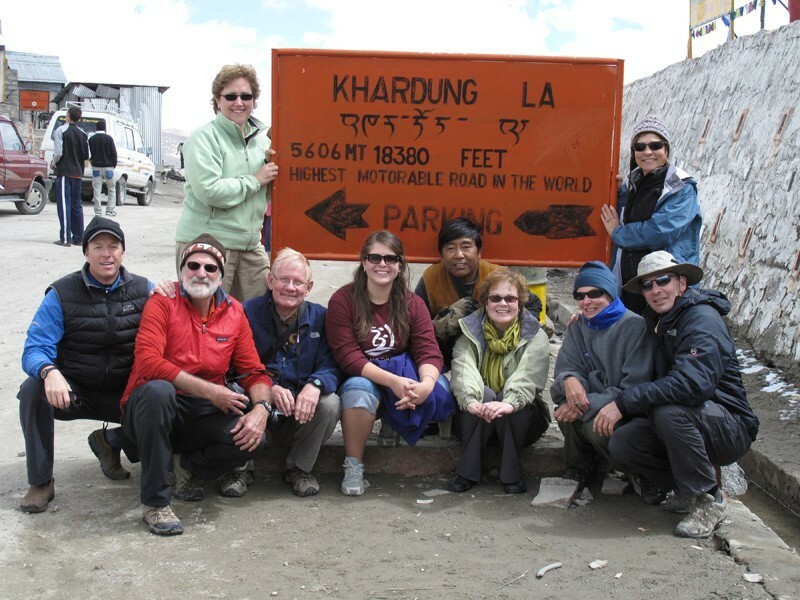 The tour involves extensive road touring and some hiking, including side trips into the remote Nubra Valley, crossing the Khardung La (‘La’ means Pass in Tibetan) (5602m), the highest motor able pass in the world – with fabulous panoramic views across the Himalayas. A visit to Agra to see the magnificent Taj Mahal gives this incredible tour a fitting finish. Arrive at Indira Gandhi International Airport, Delhi our KVT’s representative will meet and greet you there and would assist you at the airport, later board the vehicle and transfer to hotel for check-in. Rest of the day is free for you to relax at the hotel. This morning we return back to Leh (Distance: 75Km) en-route visit Likir and Basgo monastery. The Likir Monastery located in Indus Valley; it is believed to be among the oldest villages of India. Likir monastery was founded in 1065 AD and it has a 23 meters (75 ft.) gold-covered Buddha statue. 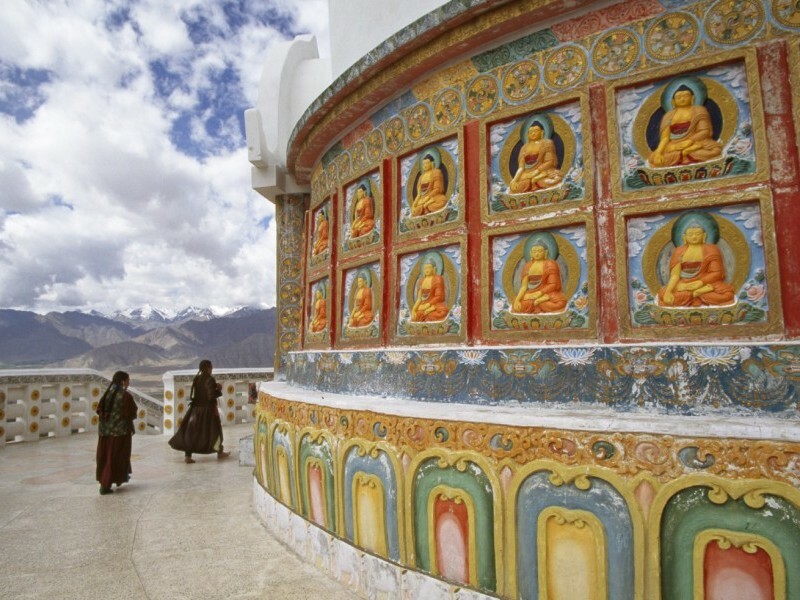 Later we visit Basgo Monastery which is located on a hill in Basgo village and is noted for its Buddha statue and murals. Basgo Monastery was built in 17th century for Namgyal rulers, Later we continue our drive towards Leh, reach Leh and check-in to the hotel. Early morning we will be transferred to the airport to board the flight for Delhi, arrive Delhi airport and we will be transferred to Agra by surface. Reach Agra and transfer to hotel; evening is free for us to relax at the hotel. Today we wake-up early in the morning to visit the beautiful white marble Taj Mahal at sunrise (remains closed on every Friday). Taj Mahal is a symbol of eternal love which stands on the banks of River Yamuna. The Taj Mahal is serenely beautiful and never fails to amaze a first time visitor. In the afternoon, we visit Agra Fort, whose mighty red sandstone walls enclose the beautiful white marble Pearl Mosque and the palaces, halls, courtyards and fountains of his sons and successors, Jehangir and Shah Jahan. Later we drive back to Delhi and you will be transferred to the Indira Gandhi International Airport, Delhi to catch your onward destination flight.